You can throw your self into the frey in Chaweng where you can hop across the street to buy a McDonald's burger and fries or mingle in the nightlife in Lamai, but if your expectations is that of idyllic scenery and unsurpassed views in an exotic setting which is undeniably romantic and far away from anything familiar we suggest turning your sights on hotels in Maenam Koh Samui. The beach is beautiful and long, it is the cleanest and most pristine of them all, it offers safe swimming and is cloaked in tranquility. Located on the northern tip of Koh Samui, 30 minutes from Chaweng and west of Bophut meaning you are near dining and shopping in Fisherman's Village, this area reveal views of Koh Phangan across the water and offer a high degree of privacy. The area does offer cheap accommodation and good mid-range resorts, but most noticeably some of the best 5 star hotels on the island like the luxurious W Retreat, the fabulous Santiburi Golf Resort and Belmond Napasai. Take this opportunity to compare our accommodation deals in Maenam Beach and see why you will enjoy luxury for less when booking with us. 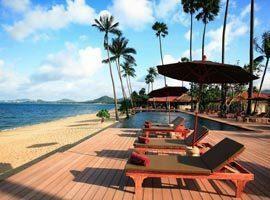 Belmond Napasai is peerless if you want to combine an authentic island lifestyle with the comforts of a 5 star resort. 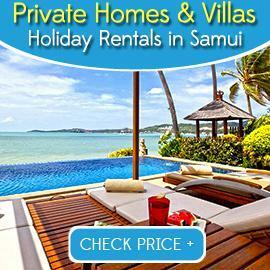 It is surrounded by verdant tropical gardens offering luxury beachfront villas. With a location on the eastern corner of Maenam this Thai styled boutique hotel is not only near local shops and restaurants, but also moments from charming Fisherman's Village in Bophut. Located on a tranquil and private beach Mimosa is the best place for both families and couples who want to relax unhindered. 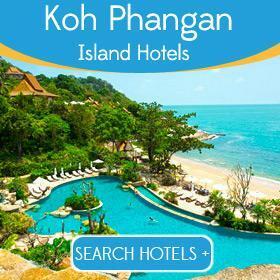 It offers amazing views of the scattered islands of Ang Thong Marine Park. This beachfront resort peaks out from its hiding place among verdant exotic gardens dotted by majestic palm trees. 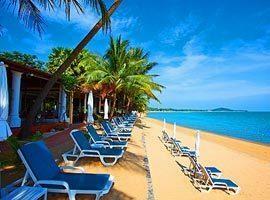 It offers 2 pools, a water sport centre and a restaurant right next to a flawless ribbon of sand. 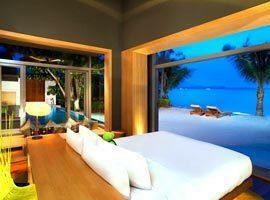 Set amid lush tropical gardens complete with calming water features offering Thai designed pool villas. 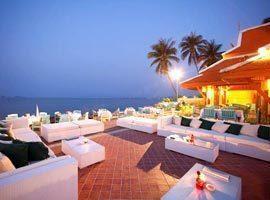 There is a beachfront restaurant and infinity edge pool, a kids club and fitness centre. With a private beach, villas spread through-out tropical gardens to ensure privacy and facilities such as tennis courts, water sports and golf driving range this is the place for romantics and sports people. Set amid gardens of palm trees and chirping birds this beachfront paradise is a place where you can retain anonymity on a private beach. 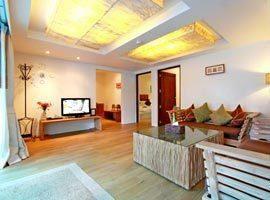 Offers villas with private pools in outdoor grass courtyards. 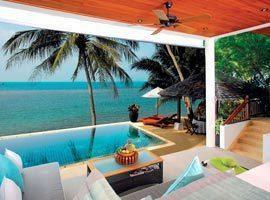 The florist resort offers beachfront villas which allow tropical outdoor living at its best. 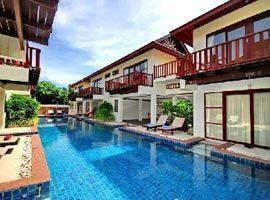 I offers pool access rooms as well as traditional Thai house designed deluxe and family rooms facing the ocean. Located on its very own 900 meter private beach W Retreat offers private pool retreats with a modern cutting edge design between Maenam and Bophut and allows captivating views of Phangan island.